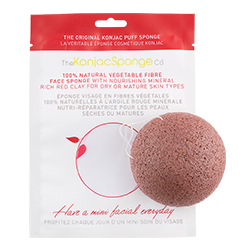 With a commitment to producing natural, cruelty free skin care this multi-award winning company uses the finest food grade Konjac free from microbes or pollutants to create 100% biodegradable sponges to deeply cleanse and gently exfoliate the skin. Now available at TimeToSpa, please click here for more information. 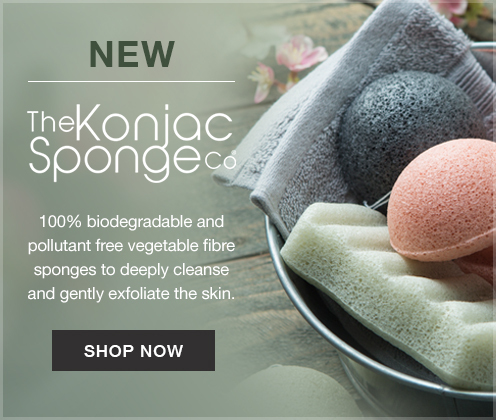 Free from chemicals, colouring, additives and irritants – this 100% biodegradable vegetable fibre sponge deeply cleanses, removing blackheads and gently exfoliating the skin for a radiant complexion. Enriched with French Pink Clay, the mildest of all the French clays. 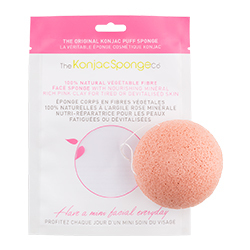 It gently purifies the most sensitive skin and has a softening and plumping effect to improve elasticity and refresh your skin’s appearance. Ideal for those suffering from weather extremes such as excess sun exposure or central air conditioning. Enriched with French Red Clay known to stimulate blood circulation for a healthy glow. Ideal for dry and more mature skin types to helps rid skin of dead surface cells that can make it look dull, to brighten dull complexions and reduce the appearance of wrinkles. 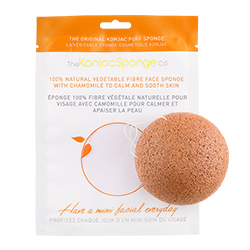 Ideal for soothing angry, irritated, over sensitive skin. Pure Chamomile has anti-inflammatory properties to gently purify, soften and refresh your skin’s appearance. Blended with the finest French Green Clay to naturally draw out impurities and toxins, to reveal a smoother, fresher complexion. 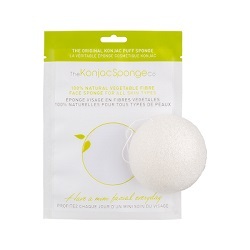 One of nature’s strongest antiseptics, it naturally absorbs excess oils, dirt and bacteria. The ideal travelling companion. 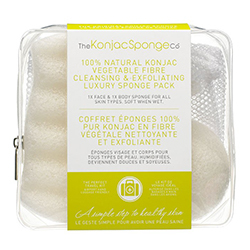 This duo kit will pass straight through all airport security in your hand luggage, yet give you everything you need to stay fresh whilst away from home keeping skin fresh and revived with 100% pure Konjac. 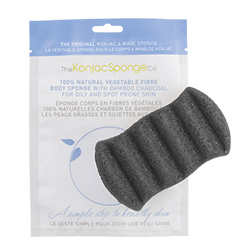 Packed with mineral rich activated carbon this 100% biodegradable vegetable fibre deep cleans pores to eliminate blackheads and dirt whilst absorbing excess oils and toxins. 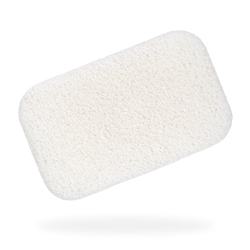 Free from chemicals, colouring, additives and irritants – this 100% biodegradable vegetable fibre sponge originally created for babies is ideal for cleansing baby and children’s delicate skin. 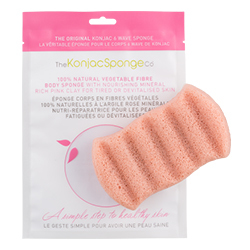 It helps sooth eczema and skin ailments without the need for harsh cleansing products. 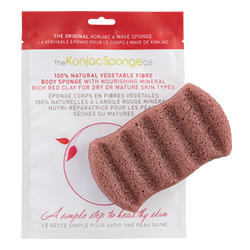 Gently exfoliate your body and get a deep overall cleanse with this 100% biodegradable vegetable fibre sponge. Rejuvenate your skin French Red Clay helps to improve blood circulation and leave skin looking radiant and hydrated.